← Celebrating Repeal Day and Toulouse Red 5 Year Anniversary! Sometimes, all you need to do is walk down the street to have a meeting of the minds and a great idea. 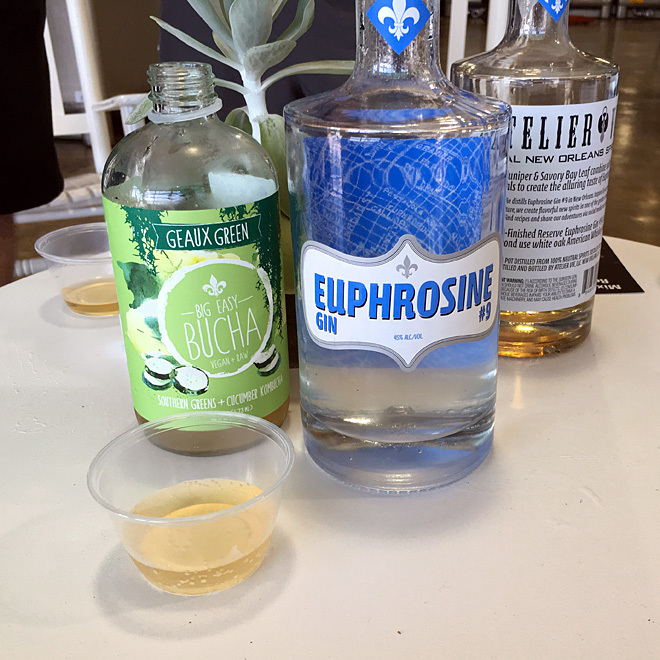 During a visit with our friends at Big Easy Bucha, former bartender Austin added our Euphrosine Gin #9 to Big Easy Bucha’s Geaux Green for an impromptu cocktail. The combination of greens and cucumber in Geaux Green and the balanced medley of flavors in Euphrosine Gin #9 turned out to be both easy to mix and incredibly delicious! Combine in a glass on the rocks. A lemon twist might well enhance it further.